The NZXT Source 530 is the latest addition to the Source series mid tower cases. It’s the successor of the Source 210 and 220 compact cases. 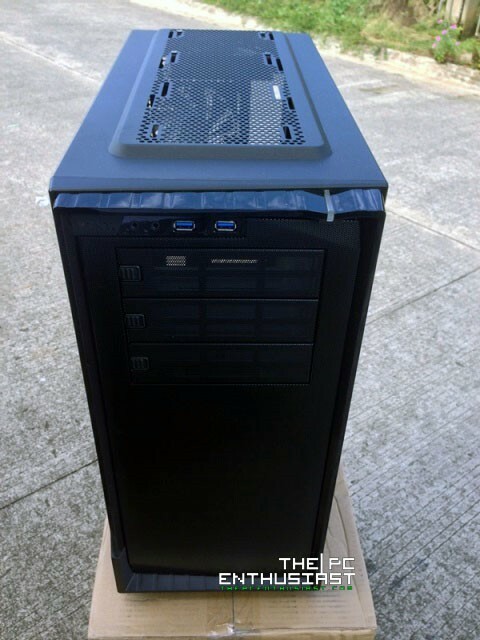 According to NZXT, the Source 530 is a full tower case, but I’ve seen the size of a full tower case and compared the case with other mid towers. 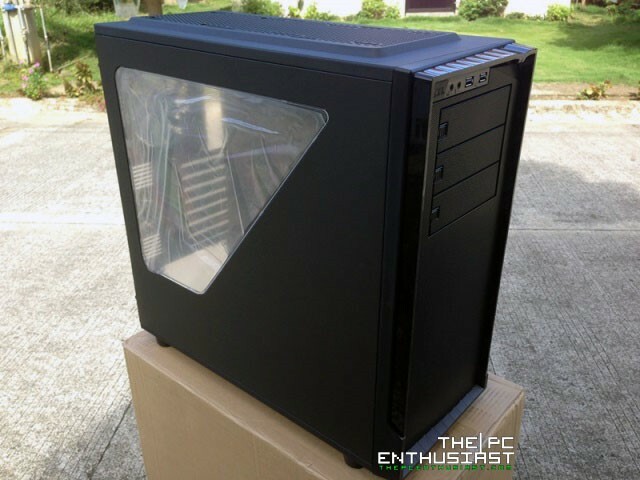 I would say that the Source 530 is not a full tower case, but rather it has features that of a full tower. 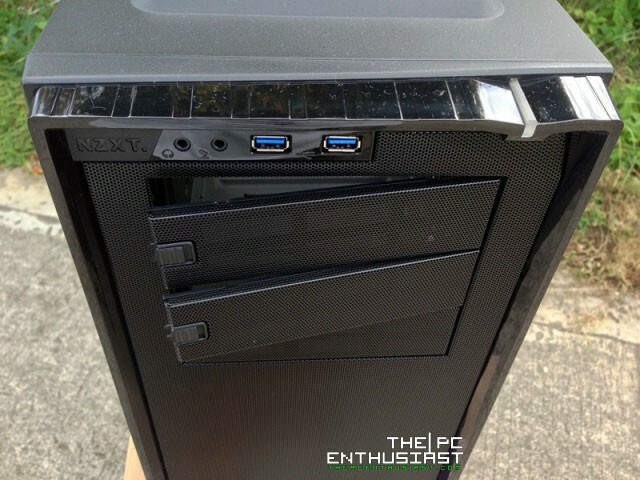 Today, let’s take a closer look at the NZXT Source 530, check out it features and specifications, and find out if this case is for you. 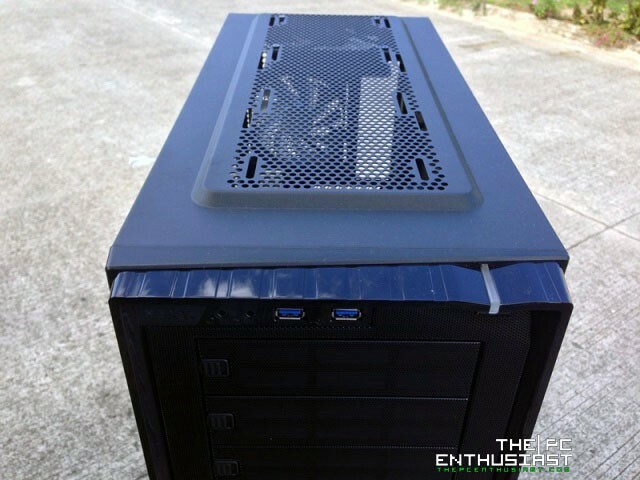 The NZXT Source 530, despite its simplicity and affordable price, is built with features that are commonly found in a mainstream or even a high end gaming case. 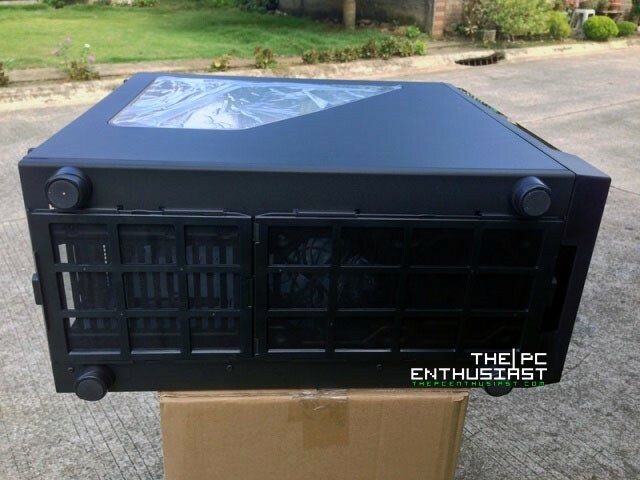 It can accommodate up to 9 120mm cooling fans for maximum cooling performance. 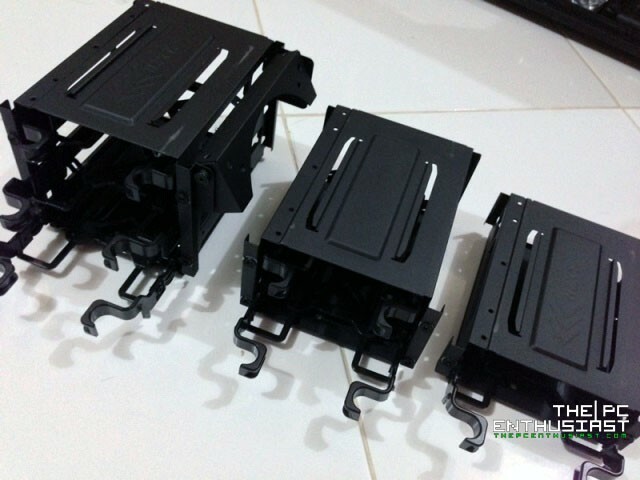 It supports up to 360mm large radiators for those who are into water cooling solution. You can actually install up to three different radiators inside the Source 530. 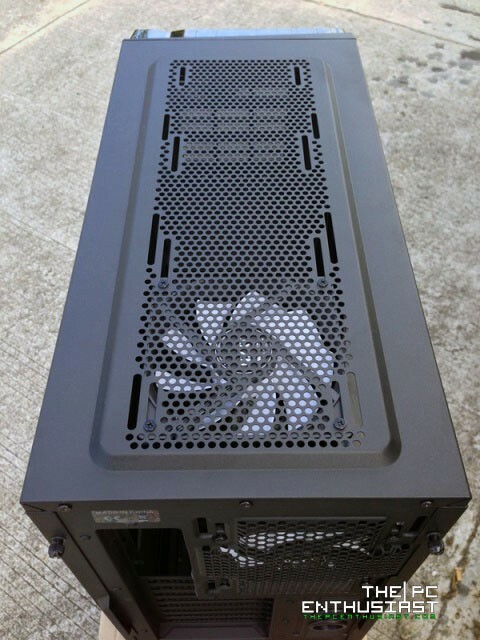 Hard drive cages are modular, meaning they can be removed so that you can easily customize the internals of your case and adjust it to your system’s needs. 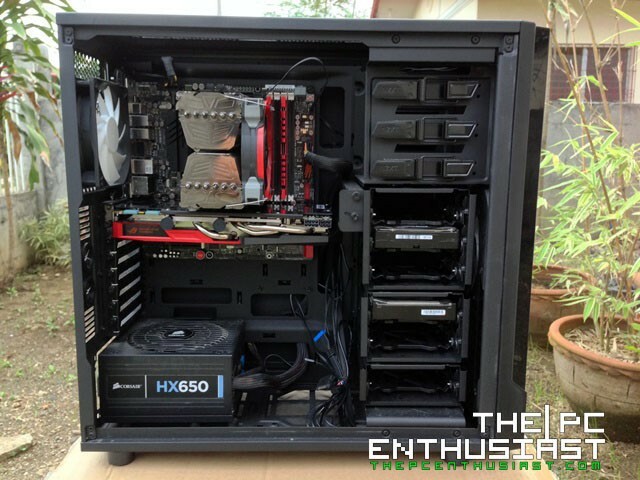 Long graphics cards and multiple GPU setups can also be accommodated by the Source 530. 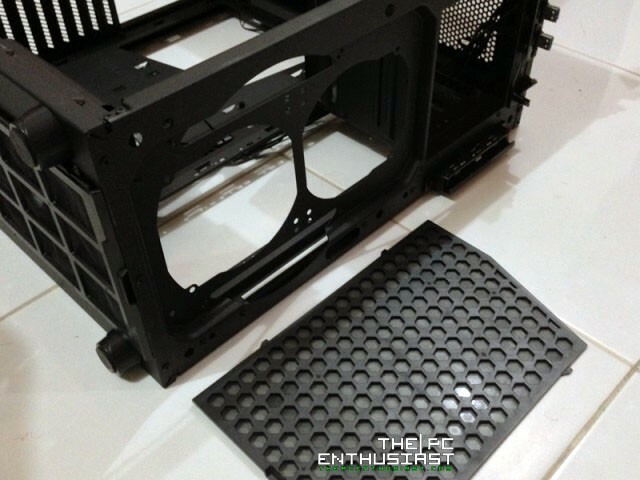 There is also a sufficient amount of holes for cable management and screw holes for mounting clips. Dust filters are present in front and beneath the case for easy cleaning. Another great features of the NZXT Source 530 are the 10 port 3-pin hub located at the back of the motherboard tray, a discrete/hidden SSD mount and an adjustable fan mount located inside the case attached to one of the drive cages. I’ll discuss more about these great futures of the NZXT Source 530 one by one below. The NZXT Source 530 has a simple yet clean and elegant design. 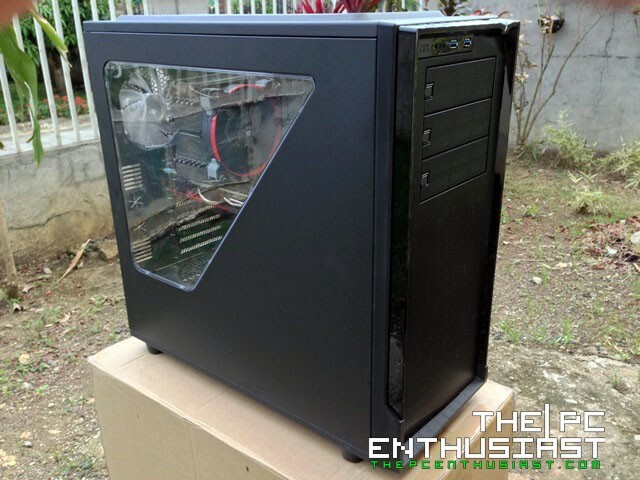 It’s primarily made out of steel, and plastic for its dust filters, side panel window and a glossy frame in the front panel. It has a nice flat matte Black finish coating, inside and out, which I think is really good. If you prefer a glossy surface, you might need to repaint the Source 530 or better yet go for their Phantom Series cases. 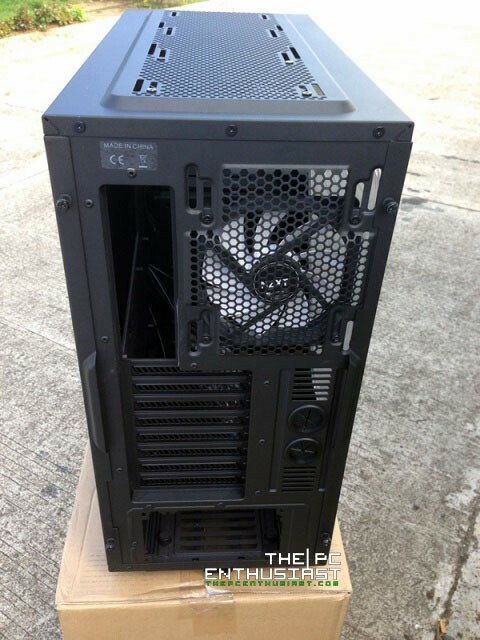 The photos above shows the front, back and top view of the NZXT Source 530. There are three 5.25″ slots for ODDs and other accessories. 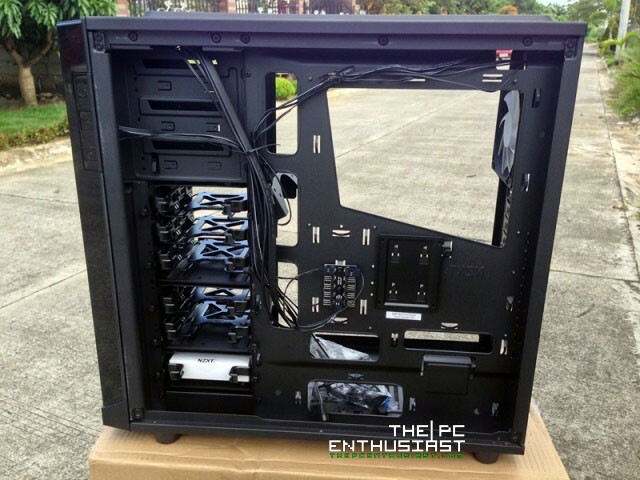 Meanwhile at the back of the Source 530, there are 8 expansion slots and two holes for water cooling tubes. Believe it or not, there is an LED hidden on the top portion of the back I/O panel, that can be turned on and off by pressing the switch button located in the front panel of the case. The LED in the back I/O panel helps a lot specially if you are connecting cables and there is insufficient light in the room. On top is a nice large mesh for heat exhaustion. 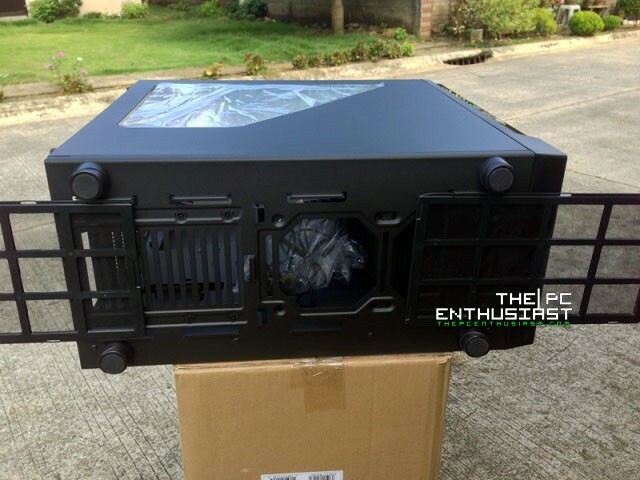 The rear and top exhaust supports 120mm and 140mm fans. If you take a good look at the fan mounting holes, notice that the screw holes are elongated and not just a single hole. This lets you slightly adjust the location of the fan(s) so that you can better target and exhaust the heat coming from inside the case. In the front panel section of the NZXT Source 530 are headphone in and mic in ports, two USB 3.0 ports, and on the right hand side are the power, reset and LED on/off buttons. There are two LED indicators in front of the case, one is the white line you see on the top right portion, and the other one is the NZXT logo. Unfortunately for the unit I received, the LED on the NZXT logo died after 3 weeks of testing. I asked NZXT about it and said it’s just an isolated case. For me, it’s not a big problem since you can solder a new LED. Here’s a view of what is under the NZXT Source 530. There are holes for the power supply, and for two 120mm fans or radiator. The dust filter can easily be removed for cleaning simply by sliding it outwards. You can also see that there are four large rubber feet ensuring that the Source 530 rest well on a table or floor. Now let’s take a look inside the Source 530. 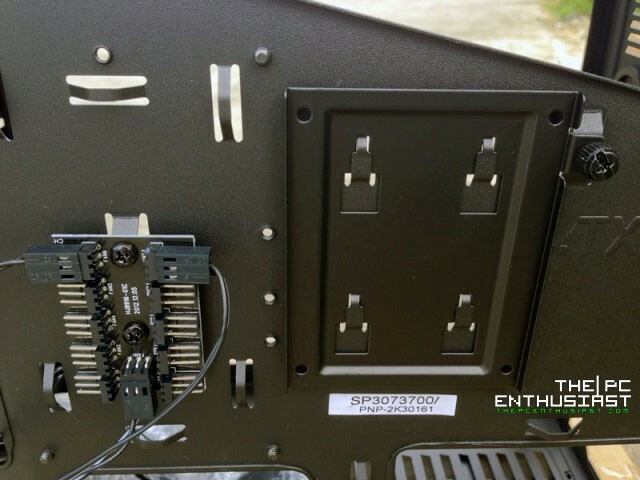 The side panel can be easily removed by simply unscrewing two thumb screws, no need to slide the side panel. As you can see, the insides are painted with a black matte finish, making it look really nice and clean. 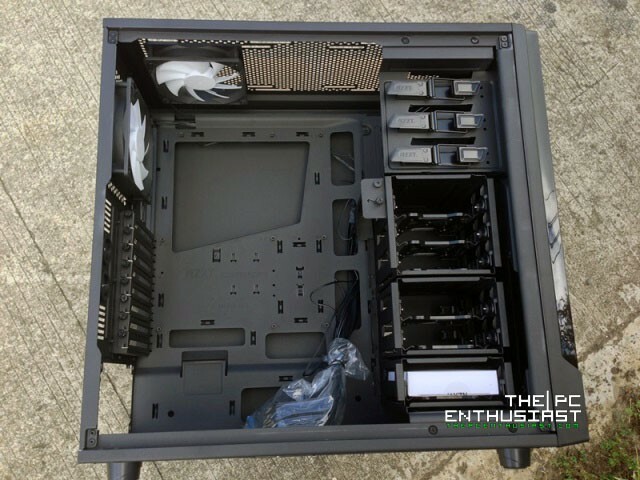 There are enough holes for cable management as well, not to mention the stylish large hole in the motherboard tray for easy installation of third party CPU coolers with back plates. Here’s another view of what’s inside the case. This time I have removed both the side panels and included a photo of what’s behind the motherboard tray. The NZXT Source 530 supports several types of motherboard, like ITX (mini-ITX), Micro-ATX, ATX and even EATX up to 322x272mm. As you can see, there are lots of holes in the motherboard tray for cable management. Unfortunately there are no rubber grommets for the holes. The Source 530 also supports both short and long power supplies (PSUs with 1000W and above wattage), and is firmly supported by 6 small rubber feet to keep the PSU secure and stable. The NZXT Source 530 only comes with two 120mm fans with white blades. By default they are located at the top and rear exhaust. But I would suggest that you transfer the other one in the front, for cool air intake and to cool the hard drives behind it. If you have some extra fans I would suggest that the air intake should be more than the air exhaust. 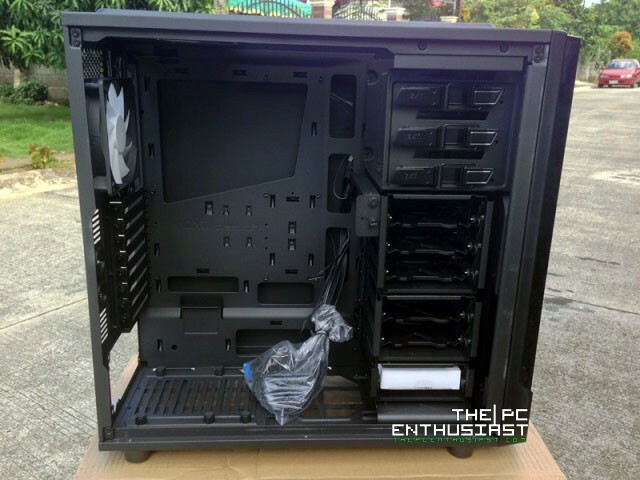 This, not only keeps dust from sipping in any portion or corner of the case, but also gives your system an optimal air flow inside the case. 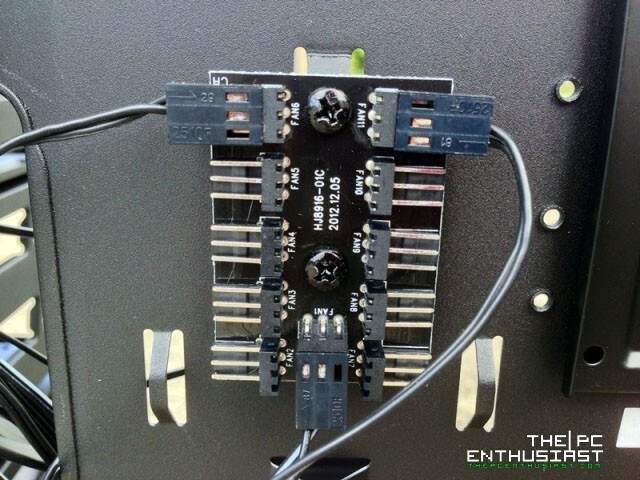 Behind the motherboard tray is a hidden or discrete SSD mount. This is not the only chassis that I have tested with this kind of feature. The Cooler Master HAF XM also has a discrete SSD mount behind the motherboard tray. 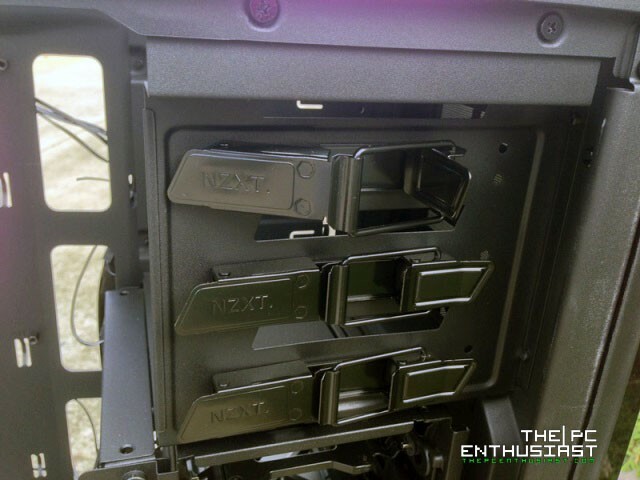 In the NZXT Source 530, you will have to unscrew the tray and slide it upwards to remove it, and then screw the SSD on the tray from the bottom, then slide the whole thing back. I didn’t like the installation method of the discrete SSD mount, I find it taxing. It would be better or easier if you can just screw the SSD from its sides and not from the bottom. Or better yet, a tool-free clip-on would be better. Beside the SSD mount is the 3-pin 10 port hub for fans, LEDs or any other accessory that requires a 3-pin connection. The other 3-pin port located at the bottom-center of the hub provides power to the other ports. These is a very convenient feature, since you no longer need to buy a third party 3-pin hub for your fans. Unfortunately, it doesn’t support fans with 4 pin connectors. It would be great if they used a 4-pin hub so that both 3-pin and 4-pin connectors can utilize the hub. The NZXT Source 530 features a tool-free 5.25-inch drive bay. To install an optical disc drive or any other accessories, simply pull the clip to unlock, pop-out the cover in the front panel and slide the ODD then close to lock to fasten the drive in. Meanwhile, the picture on the right shows the 120mm/140mm adjustable fan mount. 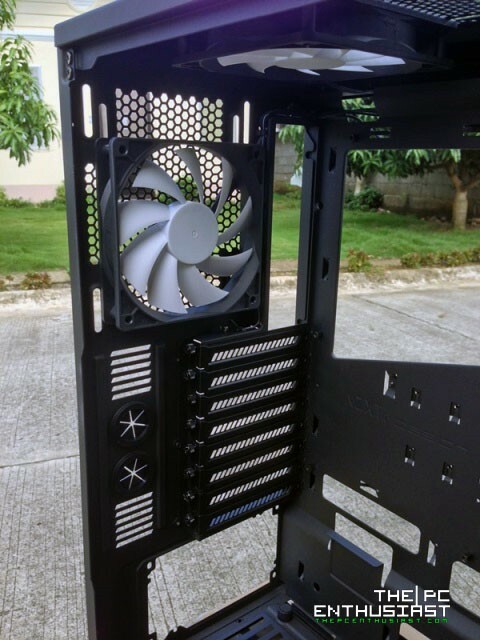 Through this unique feature, you can install a fan and swivel it up to a certain amount of angle to target and cool a video card, a CPU heatsink or a portion of the motherboard. 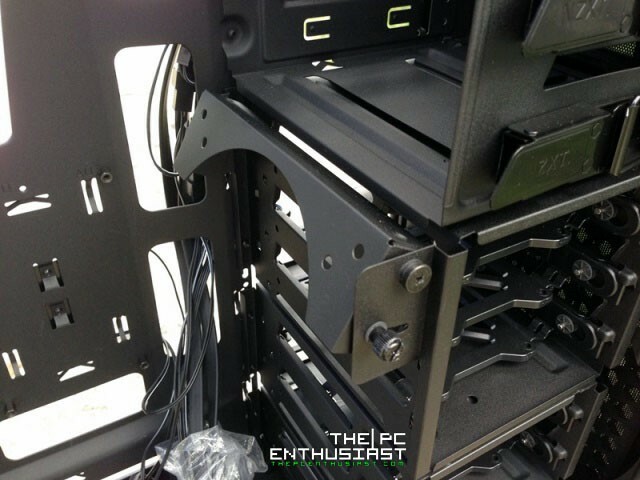 If you are using a long graphics card, you will have to relocate this portion of the drive cage in the middle or bottom section, since the fan mount will get in the way of the graphics card. 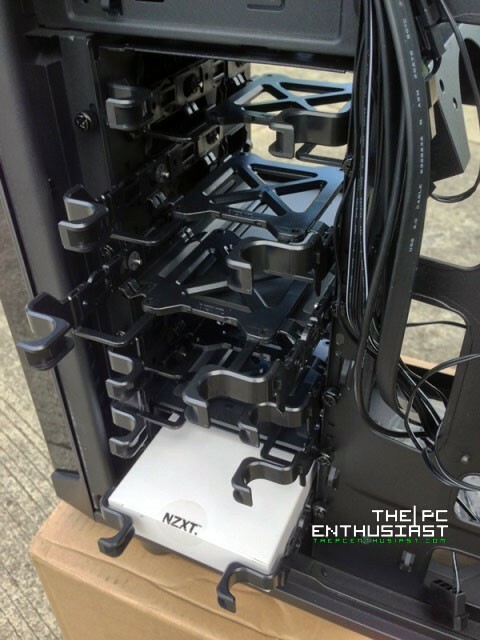 The drive cages on the NZXT Source 530 can be easily removed and are interchangeable. You simply need to unscrew the thumb screws and slide the cage towards you to remove it. 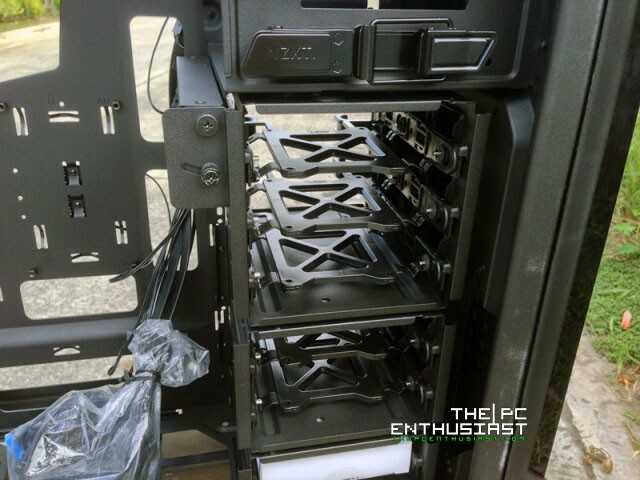 The drive cages can accommodate a total of 6 hard drives or SSDs. The drive cages feature a tool-free hard drive mount that is made of flexible plastic, where you can easily clip and then slide the hard drive to its cage. However, if you plan to install an SSD, you will have to screw the SSD to the tray. The white box located at the lower portion of the cage is just the container for several types of screws and wire ties that you might be needing as you build our system. Here’s a picture of the three drive cages when removed from the case. All these cage sections are completely stackable and can be installed in any particular order that you want. The front portion, by default, does not come with any fan. But you can install up to two 120mm or 140mm fans, or a huge 200mm fan. The dust filter in front of the case does not easily come out. You will have to remove the front covering to remove and clean the dust filter. I hope NZXT could find a way to make the front dust filter easily accessible, similar to the bottom dust filters. Since removing the front covering every now and then could damage the clips supporting the front covering. 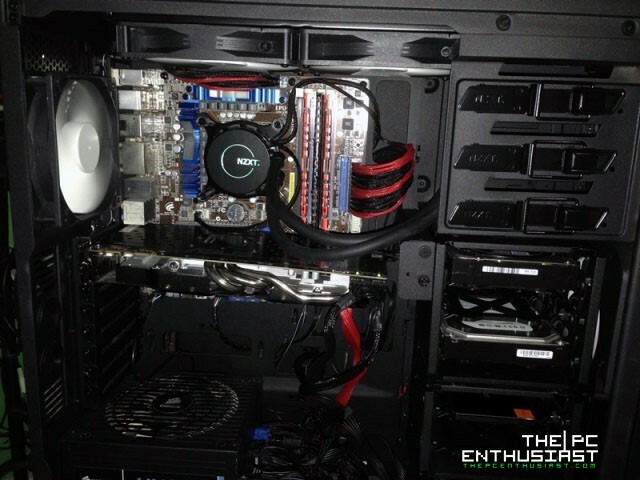 In testing the NZXT Source 530, I used my Sandy Bridge system with two different graphics cards (Asus GeForce GTX 770 and Asus MARS GTX 760 Dual GPU), an NZXT Kraken X60 CPU cooler, two hard drives and an SSD . I did not install any additional fans except for the fans that came along with the Kraken X60. As expected, I have to remove the drive cage that has a fan mount and relocate it below to accommodate the Asus MARS GTX 760. The system ran fairly cool under normal load, despite having two fans only. Again, I would suggest that if you don’t have any other additional fans, transfer one fan in front of the case, preferably the one that was pre-installed on the top exhaust. Cool air comes in through the front and hot air is being exhaust at the rear and top portion. But there is a flaw in the build that I made below. Earlier I mentioned that fan intake should be more than fan exhaust. In this case, there are four fans (including the fan in the PSU) blowing hot air out and only 1 fan taking in cool air. As a result there was not enough cool air to extinguish the heat produced by the graphics card. 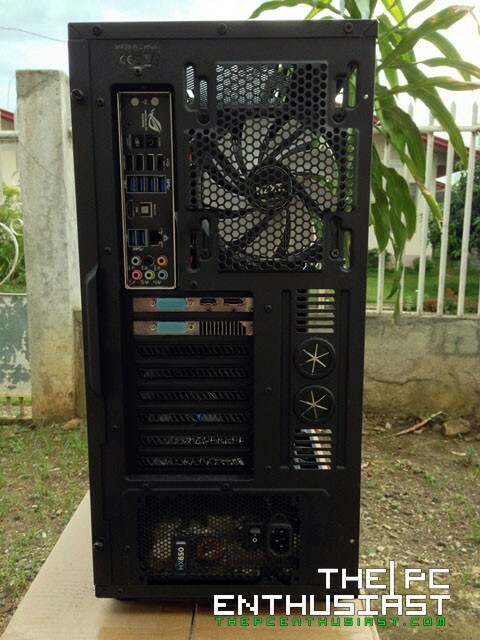 In this case, it is recommended that you add two more fans in front and/or below the case. This wasn’t the Source 530’s fault at all. 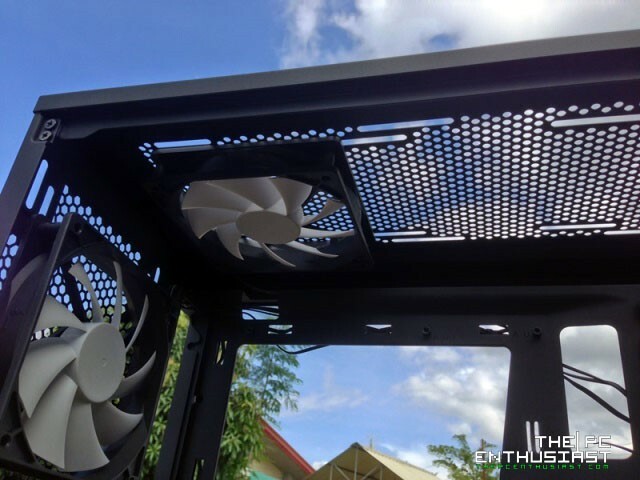 Under normal operation, you don’t really need to install nine 120mm fans, one or two intake and 1 exhaust would be sufficient. 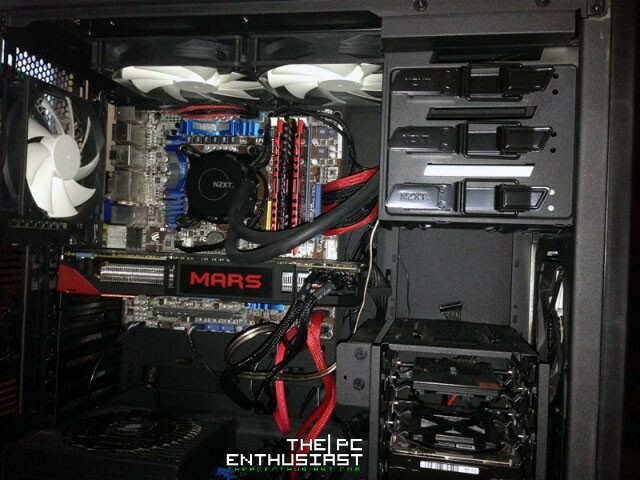 But if you are running your system in overclocked mode and you are playing for long period of hours using a high end graphics card and processor, it is recommended that you install additional cooling fans. Another thing is that, noise produced by fan vibrations can be observed just like in any other chassis, specially when the fans are in full rotational speed. But this can be easily remedied by using rubber screws instead of the regular screws. Rubbers screws are not included in the package. NZXT described the Source 530 in three words, “Simple, Capable, Affordable”. And those three words perfectly described the NZXT Source 530. The design is really “simple”, clean yet good looking. The matte Black finish and coating helps in the overall look and aesthetics of the case. 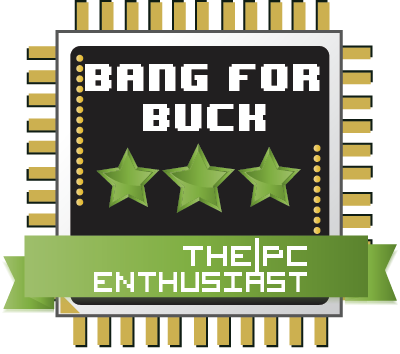 It is “capable” in the sense that it’s built with features that you only see usually in high end chassis or in a full tower case. Whether you are just a newbie system builder or an intermediate one, the Source 530 is capable of accommodating your components. 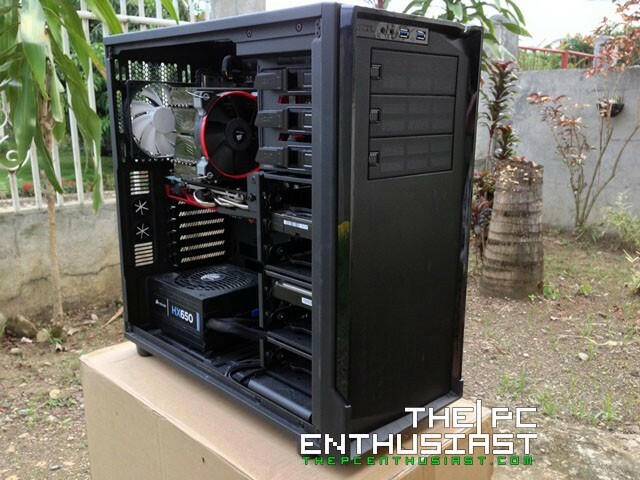 It can accommodate long graphics card, long power supplies, and even custom water cooling setups and large radiators. 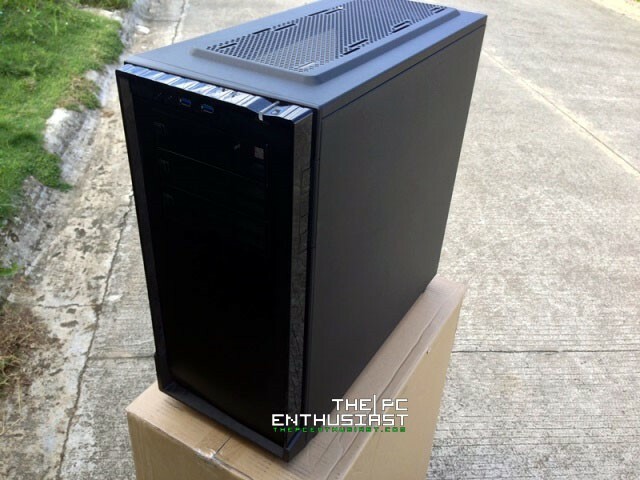 Most of the good mid tower cases and full tower cases are priced $100 above or even way more, but this one comes with a suggested retail price of only $89.99. 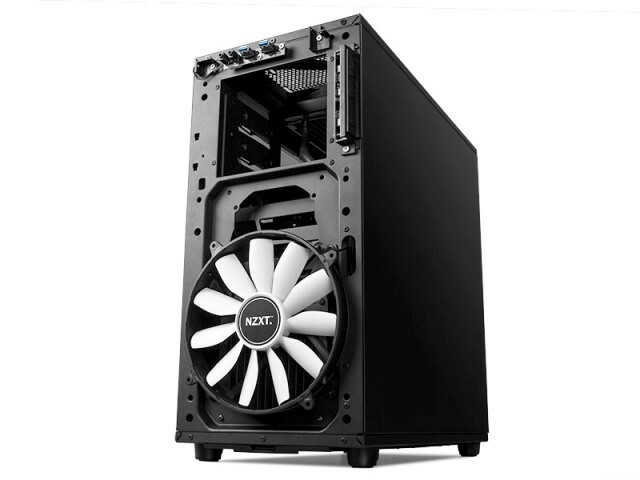 This isn’t literally the cheapest case on the market, but considering the features that it offers and comparing its price with other case offering more or less the same features, you will find that the NZXT Source 530 is “affordable”, but I would call it one of those the bang for the buck case. 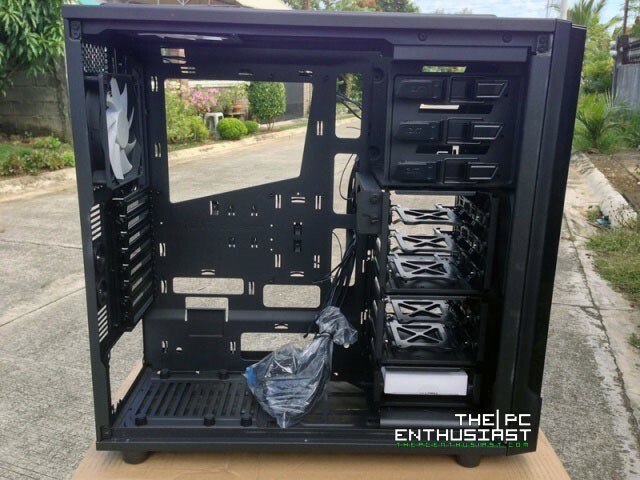 I would recommend this case to beginners/newbie or intermediate system builders who are on a tight budget, or is looking for a more affordable case that is capable of housing your PC components properly.